Elegant and unwelcoming don’t always go hand-in-hand. The designer for this collaborative seating series took inspiration from architecture and landscapes to create a graceful, inviting form that evokes a sense of beauty and peace without sacrificing warmth. People need environments that calm and inspire, and this collaborative lounge furniture helps create those spaces. The thin, faceted legs create a sense of lightness and poise, while the softer shapes of the cushions provide comfort. Products in the design tradition of this collaborative lounge piece are more than just beautiful, they are also comfortable. The most enduring pieces of furniture don’t just inspire people, they also support them. The relaxed posture of this modular collaborative lounge seating collection gives it the versatility to create warmth and sophistication in diverse settings. 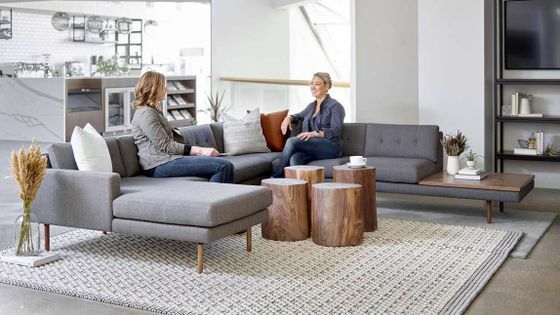 Available in Lounge Chairs, Loveseats, Sofas, Benches, Chaise Lounges and modular components to customize a Collaborative Lounge Seating configuration to best fit your space.